Madison Lodge No. 221 - Know the Secret? Do You Know the Secret? - Not One Person! 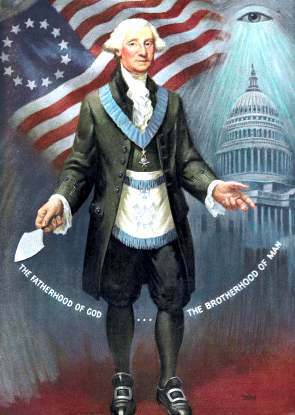 Not one person ever joined Masonry because George Washington was a Mason. Not one person ever joined Masonry because Harry Truman was a Mason. Not one person ever joined because of any of our great Masonic heroes. Joining doesn't make you any of those people. Not one person ever joined in order to give a million dollars a day to charity, or homes, or crippled children. You don't have to be a member to give money. Not one person ever joined because our ritual is outstanding, or our minutes are accurate, or a hundred other things we worry about. They don't know about our ritual.